When you plan to adventure into dangerous lands, armour is a must, but your focus should not solely be on your head and torso. 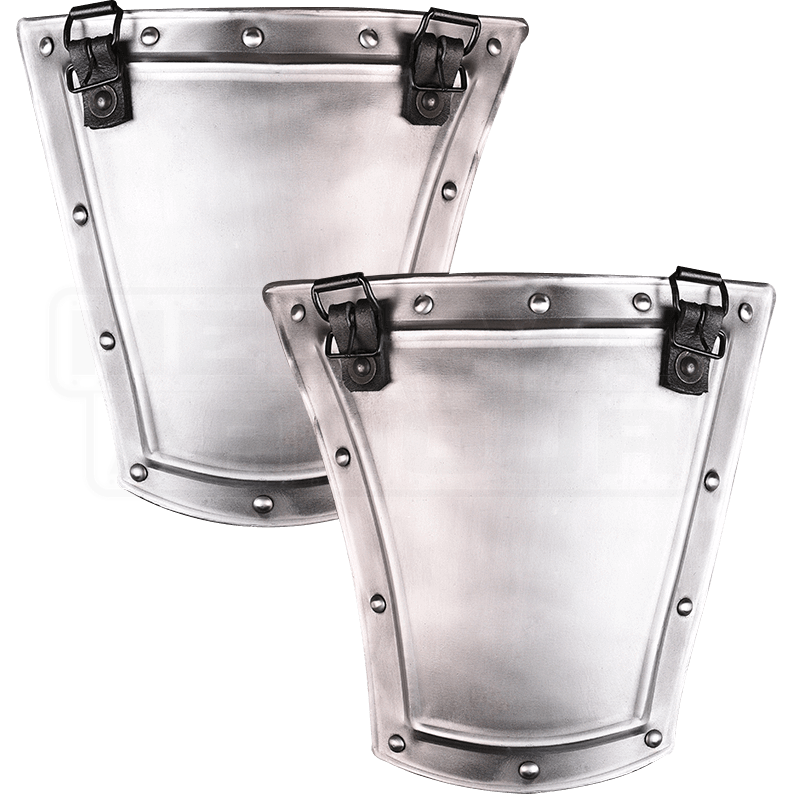 The Steel Georg Tassets are just what you need to protect your upper legs from the onslaughts of enemies. These handmade, 18-gauge steel tassets provide superb defense to the thighs without impeding maneuverability. Their borders sport riveting, making them more than just a run-of-the-mill piece of armour, and their tops are fitted with buckles for easy attachment to a cuirass or breastplate. These tassets were originally designed for use with other pieces from the Georg armour set, but they can also be paired with any cuirass or breastplate that features the appropriate attachment points. The Steel Georg Tassets make a fantastic and necessary addition to any suit of armour for LARPing or light reenactment.